All content of this web site, text, images , graphics, software, logos and any other material on the site are protected by copyright and are the property of www.ieromaneasca.com , X Trade 2000 Ltd and / or partners them. The term "user " and the term "client " of this site means any natural or legal person who will access this site. Access to personal and non-commercial purposes the information in this site is free to all users that have access to the World Wide Web . The materials contained in this web site may not be reproduced whole or in part without the written consent of the owner of the web site. Those who modify or reproduce the material on www.ieromaneasca.com will respond to this according to Roman law and international copyright laws. 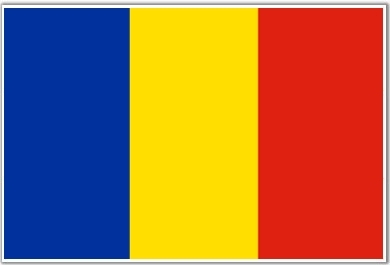 Resolve any disputes in connection with the web site snowkiting.ro will be in the courts of Romania . Any rights not expressed here are applicable by law. Order products is through the web site shopping cart, e-mail or telephone after confirmation of availability and / or the time limit for execution for the products that are not in stock. The deadline for shipping is max. 3 business days for the products in stock. For those that are not in stock, delivery time is mutually agreed depending on the complexity of the products. (being hand embroidered / hand made). For deliveries national payment products is delivery (cash to the courier or post) or in advance by bank transfer. For international shipments, payment is made in advance by credit card, bank transfer or PayPal. According O.G. 130/2000 on the legal regime of distance contracts , and Law no. 51/2003 , which approves the ordinance , " the consumer is entitled to withdraw from the distance contract within 10 days without penalty and without giving any reason . Only costs that may return the consumer is the direct cost of returning the goods . " Returned products must be in the same condition that it was received free from defects (excluding hidden defects ) and the orginal package was delivered . Customer may cancel the order , before or after sending the parcel in accordance with Ordinance 130/2000 . How do the cancellation and return of products . We are always trying to provide you high quality products. - Items purchased can be returned within 15 days of purchase. - You must have an original receipt or packing slip to complete your return. - Items must be unused and unwashed. - We will refund the value of products returned by the customer through bank transfer, PayPal or otherwise within 15 days of receipt of goods returned by the custom. The website contains links to websites of third parties. These links are provided as a convenience, and www.ieromaneasca.com does not have any control over the websites of its kind. www.ieromaneasca.com is not responsible for the availability of such external sites, does not endorse and is not responsible for any content, advertising, products or other materials on or available from such sites. User agrees , accepts and warrants that use this site and services in accordance with these terms and conditions and in an appropriate and lawful manner and for lawful purposes only . • Making excessive traffic demands, deliver or forward chain letters, junk mail or unsolicited or unauthorized advertising (spam) of any kind, surveys, contests, pyramid schemes or engage in any other behavior intended to inhibit other users to use this site or any other web site, or is otherwise likely to damage or destroy www.ieromaneasca.com reputation or the reputation of third parties. User acknowledges that he / she has read and accepts these terms and conditions. Use of the Site by the user shall be deemed acceptance of these terms and conditions. By using this site, user agrees to indemnify, defend and make www.ieromaneasca.com responsible for and against all losses, expenses, damages and costs, including reasonable attorneys' fees, resulting from any violation of these terms and conditions. www.ieromaneasca.com reserves the right to modify at any time, at any time, or discontinue, temporarily or permanently, partially or totally, the services offered through this web site, with or without notice. www.ieromaneasca.com will not be liable to the user, any third person or entity or institution for modification, suspension or interruption of services available through the site. - Use of the Site is at your own risk. www.ieromaneasca.com expressly absolve all liability of any kind, expressed directly or indirectly ,. - The site owner will not be held responsible for any errors that appear on the site regardless of the reasons they occur , these include changes to site settings, or updating . It also can not be made ​​LIABLE for errors arising due to the use of certain browsers visiting the site . - Conditions for use and content of the Website may be changed at any time by the owner of the web site, new conditions become valid when they were made public by their enrollment in this site and not retroactive. This site is offered AS IS and without warranties. - No advice or information, oral or written , obtained from the website or through service www.ieromaneasca.com site does not constitute a warranty , unless expressly mentioned in the terms and conditions of use . d ) any other information which is expressly requested by the Supervisory Authority , taking into account the specific processing . ( 3 ) The provisions of par. ( 2) do not apply when the processing is carried out solely for journalistic , literary or artistic , if their application would reveal the source of information. ( 4 ) The provisions of par. ( 2) shall not apply where the data is processed for statistical, historical or scientific research , or in any other circumstances where the provision of such information proves impossible or would involve a disproportionate effort towards the legitimate interest that would could be harmed , and in situations where data recording or disclosure is expressly required by law . e) information on the possibility to consult the register of the processing of personal data , provided in art. no. 24 , to file a complaint to the supervisory authority and to address the court for appeals against decisions of the operator, in accordance with the provisions of this law . ( 2 ) The data subject may request the operator information provided in par. (1) , an application shall be in writing , dated and signed . The petitioner may show if he wants the information to be communicated to a specific address, which may be an electronic mail , or by a mail service that ensures receipt of the confidentiality. ( 3 ) The operator is obliged to communicate the requested information within 15 days from date of receipt , subject option as provided in paragraph . ( 2). ( 4) Where personal data relating to health , the demand stipulated in par . ( 2) may be introduced by the person concerned either directly or through a medical professional that indicates the request of the person whose name is entered. At the request of the data subject or notification provided under par. ( 3) may be carried out by a medical professional designated by the person concerned . ( 5 ) Where personal data relating to health are processed for scientific research, if there is , at least apparently , the risk of prejudice to the rights of the data subject and if the data are used to take measures against a particular person , the communication referred to in para. ( 3 ) can be done within a period greater than one mentioned in that paragraph, to the extent that it could affect the process or results of the research , and no later than when the research is completed . In this case, the person concerned must be given its express and unequivocal consent for the data to be processed for scientific research and the possible delay of communication provided in par. ( 3) of this reason. ( 6 ) The provisions of par. ( 2) do not apply when the processing is carried out solely for journalistic , literary or artistic , if their application would reveal the source of information. c ) notification to third parties to whom the data were disclosed to any operation conducted under lit. a) or b ) , unless this proves impossible or involves a disproportionate effort towards the legitimate interest that could be harmed . ( 2 ) To exercise the right provided in par. ( 1) The person concerned shall fill a request shall be in writing , dated and signed . The petitioner may show if he wants the information to be communicated to a specific address, which may be an electronic mail , or by a mail service that ensures receipt of the confidentiality. ( 3 ) The operator is obliged to communicate the measures taken under par. (1) , and , if applicable, the third party to whom the data were disclosed personal data concerning the data subject , within 15 days from date of receipt , subject option as provided in paragraph . ( 2). (1) The data subject has the right to object at any time on compelling legitimate grounds relating to his particular situation , the data regarding it to be processed , except where there are legal regulations . In case of justified opposition may no longer involve processing the data. ( 2 ) The data subject has the right to object at any time , free of charge and without any justification, that data concerning be processed for direct marketing, operator or a third party, or to be disclosed to third parties for such purposes . ( 3 ) In order to exercise the rights provided in paragraph no. (1) and ( 2 ) the person concerned shall fill a request shall be in writing , dated and signed . The petitioner may show if he wants the information to be communicated to a specific address, which may be an electronic mail, or by a mail service that ensures receipt of the confidentiality. ( 4) The controller shall inform the data subject the measures taken under par. (1) or (2) , and , if applicable, the third party to whom the data were disclosed personal data concerning the data subject , within 15 days of receipt of the request , with respect to petitioner 's option par. ( 3). (1) The provisions of art no . 12, 13, Art. 14 paragraph no. ( 3 ) and Art. 15 does not apply to the activities referred to in Art. 2 paragraph no. ( 5 ) , if their application affects the efficiency of action or the objective pursued in carrying out statutory authority. ( 2) Paragraph no . (1) is applicable only for the period necessary to achieve the objective of the development of the activities referred to in Art. 2 paragraph no. ( 5). ( 3 ) As soon as the justifying application of paragraph no. (1) and ( 2 ) the operators carrying out activities referred to in Art. 2 paragraph no. ( 5) shall take the necessary measures to ensure the rights of data subjects . ( 4 ) The public authorities keep track of such cases and regularly inform the supervisory authority on how to handle them. b ) revaluation any decisions about it , which significantly affects if the decision was taken solely on the basis of data processing that meets the conditions set out in point . a) . b ) the decision is authorized by a law which specifies measures to guarantee the protection of the legitimate interest of the data subject. (1) Without prejudice to the possibility to address the supervisory authority, the persons concerned have the right to go to court to defend the rights guaranteed by this Act, which have been violated. (2) Any person who has suffered damage as a result of processing of personal data carried illegally may apply to the competent court for repair. (3) is the competent court within whose territorial jurisdiction the applicant. Summons application is exempt from stamp duty.